Above: A portrait of Bela Lugosi in his final serial, The Phantom Creeps (Universal, 1939). Bela Lugosi is one of the few serial villains who could be truly called a screen icon; anybody with even a casual knowledge of old movies is sure to recognize his name instantly. Dignified but intense, with a positively hypnotic stare and an arresting voice, Lugosi had a powerful acting presence that few actors could match. Film buffs will always regret that his talent was only fully utilized in a handful of quality pictures; he spent far too much of his career “coasting” on his Dracula image in poorly-made films. Many film buffs would offhandedly number Lugosi’s five serials among those “poorly-made films,” but serial buffs owe Bela’s cliffhanger output more attention than that– even though his serial filmography was almost as uneven as his feature one. Bela Lugosi was born Bela Blasko in the town of Lugos (then part of the Austro-Hungarian Empire, now located in Romania). He developed an interest in acting while still a boy, and, to his father’s chagrin, left home at age twelve to pursue a career on the stage. He was a respected stage performer by his early twenties, and by the time he was thirty had joined the Budapest National Theater’s stock company. He served in the Austrian army during World War 1, and resumed his acting career in the newly-formed post-war nation of Hungary. In 1919 Hungary was rocked by a successful Communist revolution and an equally successful counterrevolution; the victorious anti-Communists proscribed unions, and Bela, a leading member of the Hungarian actors’ union, was forced to leave the country. After some work in German movies, he moved to America in 1920, where he adopted the screen name of “Bela Lugosi” and gradually broke into English-language stage acting. By 1922 he was appearing on Broadway, and by the mid- 1920s he was working in silent films as well. He dropped Broadway entirely for Hollywood in the late 1920s, and, despite his thick accent, successfully made the transition to talking pictures. In 1931, he was called on to reprise his 1927 Broadway portrayal of Dracula in the Universal film of that name, and immediately became a movie star–albeit one who found his star status hard to capitalize on. Hollywood’s typecasting system, along with Lugosi’s own reluctance to accept supporting roles, effectively barred Bela from branching out into non-bogeyman characterizations. Throughout the early 1930s, he continually settled for guaranteed starring roles in low-budget horror and mystery films, only occasionally appearing in a major production. In 1933, Mascot Pictures’ boss Nat Levine, always eager to exploit an actor’s feature-film fame, signed Lugosi for a top-billed role in the hopelessly confusing but entertaining serial The Whispering Shadow. 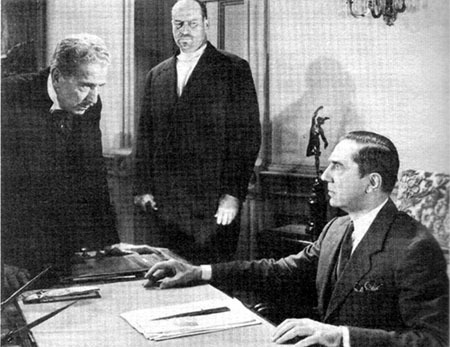 Despite his high billing, Lugosi was a supporting player in this cliffhanger; he played the sinister Professor Adam Strang, one of several shady characters suspected of being the mysterious master criminal of the title. 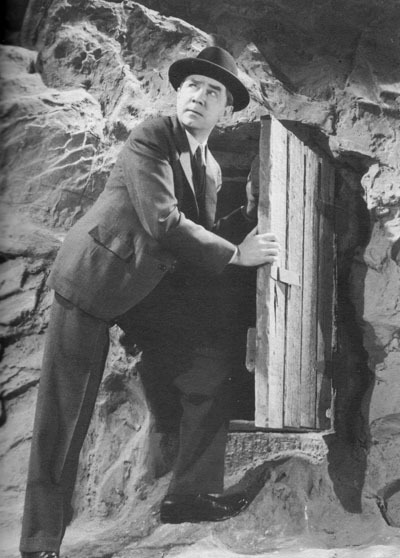 The proprietor of a spooky wax museum and the father of the serial’s heroine (Viva Tattersall), Lugosi’s Strang spent much of Shadow skulking around in a Dracula-like cloak and engaging (with his daughter’s reluctant help) in several extra-legal activities, in pursuit of the serial’s MacGuffin–a set of crown jewels. In the last chapter, Lugosi was revealed as a dedicated emissary of the “Federated Baltic States,” the nation to which the stolen jewels belonged; the Shadow turned out to be another character entirely. Lugosi, like most of the other cast members of this melodramatically mysterious chapterplay, delivered a performance that was occasionally hammy (particularly when his character was ranting about the importance of his mission), but was also colorfully memorable; he managed to make the Professor seem shifty, haughtily aristocratic, menacing, and even paternally affectionate by turns. 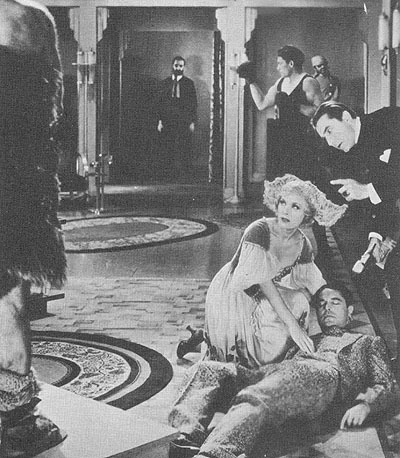 Above: Lugosi, Viva Tattersall, and an unconscious Malcom McGregor inside Lugosi’s wax museum in The Whispering Shadow (Mascot, 1933). 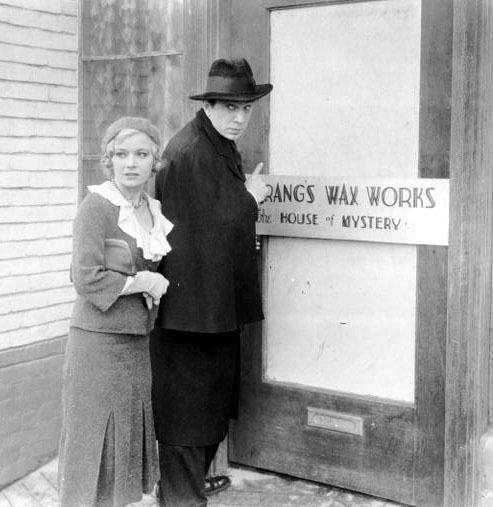 Above: Viva Tattersall and Bela Lugosi make a surreptitious entrance into Lugosi’s wax museum in The Whispering Shadow. 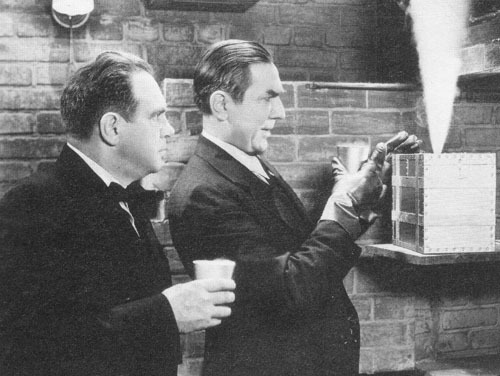 In 1932, Lugosi had played the villain in the Fox feature Chandu the Magician, based on a popular radio show. In 1934, independent producer Sol Lesser obtained the rights to the Chandu character, and, unable to hire the feature’s star Edmund Lowe, signed Lugosi to play the lead in the serial The Return of Chandu. “Chandu” was Frank Chandler, an American schooled in the mystic arts of the Far East; in the serial, Chandu was forced to pit his white magic against the black magic cult of Ubasti, a sinister group intent on sacrificing Chandu’s beloved Princess Nadji (Maria Alba). Return of Chandu, though severely hampered by a slow pace and excessive narrative padding, also featured impressive production values and genuinely eerie atmosphere. It also allowed Lugosi to play the romantic leading man for the first and only time in his Hollywood career. Although it was never explained how his travels in the Orient had given him an Eastern European accent, Bela was very successful in making Chandu’s supernatural powers credible and gave the character a slightly menacing edge; he was a little less convincing when genially interacting with his character’s niece and nephew or when engaged in romantic interludes with Princess Nadji, but he still managed to come off as quite likable in these sequences, if a little aloof. 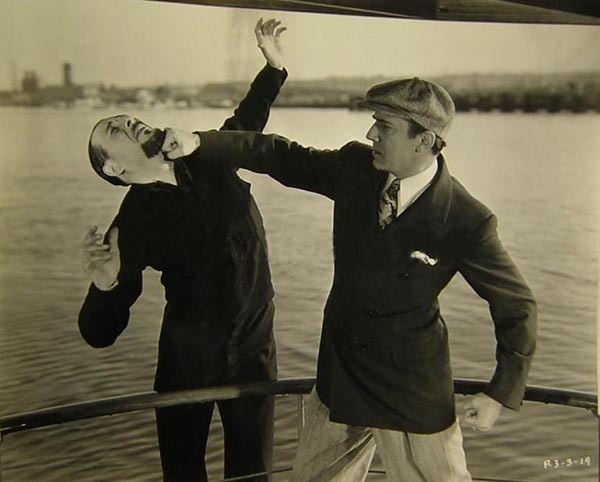 Above: Bela Lugosi punches Lucien Prival in a publicity still for The Return of Chandu (Principal Pictures, 1934). 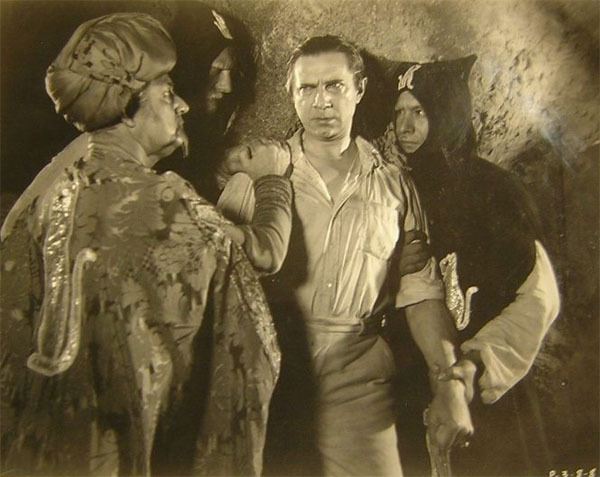 Above: Lugosi is cornered by the Ubasti cultists in another still from The Return of Chandu. Jack J. Clark is on the far right. Lugosi continued appearing chiefly in horror and science-fiction pictures (both highly-regarded Universal ones like The Black Cat and cheaply-made independent productions like Murder by Television) till 1936. In that year, a British ban on horror films caused Hollywood producers to largely abandon tales of terror and focus on genres that would be more salable in foreign countries. Bela, deprived of one of his chief screen venues, returned to serial-making, taking top billing again in producer Sam Katzman’s Shadow of Chinatown (Victory Productions, 1936). 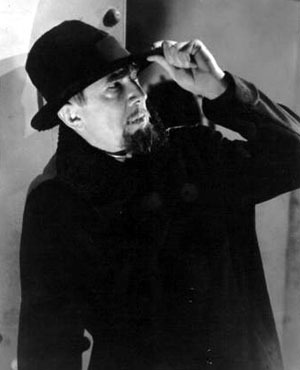 After playing a sinister but ultimately honest red herring and a bona-fide hero in his earlier serials, Bela now took on a more typically villainous role as Victor Poten, a Eurasian inventor retained by Sonya Rokoff (Luana Walters). Sonya was the agent of an importing firm out to destroy its Chinese merchant rivals on the American West Coast, and enlisted Poten’s scientific know-how to launch a reign of terror against the merchants. However, Poten soon proved more interested in carrying out his fanatical schemes of vengeance against the white and yellow races (both of which he felt had rejected him) than in Sonya’s strictly commercial plots. 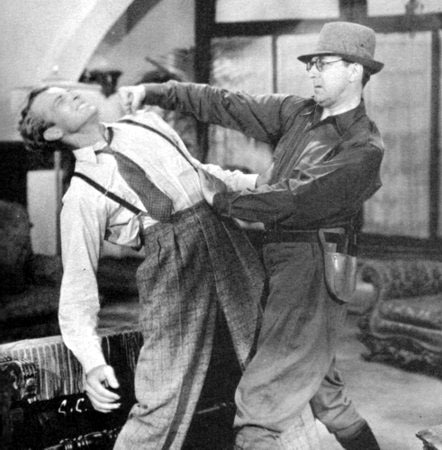 Poten proved too dangerous for his co-conspirator to control, and gave novelist hero Martin Andrews (Herman Brix) quite a bit of difficulty as well. Shadow of Chinatown was a low-budgeted and slow-moving serial, but its cast was a strong one, Lugosi being particularly memorable as Poten. He came off as frighteningly arrogant and ruthless throughout the serial–whether brushing aside the increasingly nervous Walters’ objections to his schemes, plotting complicated schemes for eliminating his various enemies, or hypnotizing people into doing his bidding (in classic Dracula style); he even managed to make Poten seem slightly sympathetic at times, so ferociously and intensely did he deliver his outcast character’s rants against the injustice of the world. Above: Bela Lugosi commands a drugged, masked, and fantastically garbed henchman in Shadow of Chinatown (Victory, 1936). 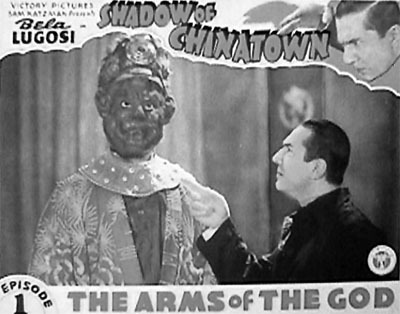 Above: Bela Lugosi, disguised as a repairman, slugs Herman Brix in Shadow of Chinatown. After Shadow of Chinatown, Bela appeared in his only Republic serial, 1937’s SOS Coast Guard. Though the most handsomely produced and solidly plotted of Lugosi’s cliffhangers, Coast Guard was the only serial in which he received second billing–and the one in which he enjoyed the least screen time. He was cast as Boroff, a foreign arms broker bent on developing a lethal dissolving gas to sell on the black market. While slipping into the US in the first chapter, Boroff killed a young Coast Guard officer, and the officer’s brother–Coast Guard lieutenant Terry Kent (Ralph Byrd)–set out to track the murderer down. Boroff’s chief assistant in his schemes was a mute giant named Thorg (Richard Alexander) whose mind had been “mutilated” by the evil mastermind, but Boroff’s use of Thorg ultimately backfired on him in the final chapter. Boroff was the nastiest of Lugosi’s serial villains–outwardly jovial, but cold and calculating with no regard for anything but his own comfort and wealth. 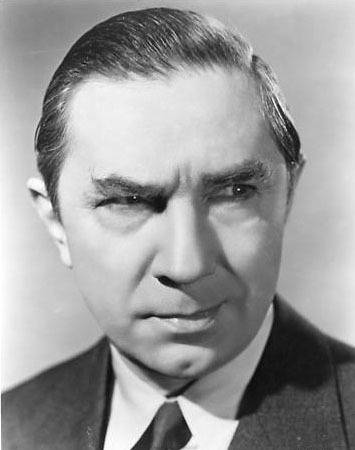 Although Lugosi appeared much less frequently than he had in his other serials, sharing screen time with Byrd, Alexander, and other co-stars, he still dominated the cliffhanger when on-stage, whether he was coolly mocking the dangerous Thorg (“Thorg isn’t human, but he can be very useful”) or cold-bloodedly planning to test his disintegrating gas on a living subject. Above: Bela Lugosi as Boroff in SOS Coast Guard (Republic, 1937). Above: Bela Lugosi (seated) plots with Lawrence Grant, while Richard Alexander (center) watches in SOS Coast Guard. Following SOS Coast Guard’s release, Lugosi dropped out of films entirely for a few years. After some West Coast stage work, he returned to pictures in 1939. By now the coming war had made the European market doubtful anyway, and American studios were ready to revive horror films–beginning with Universal’s Son of Frankenstein, in which Lugosi delivered the performance of his career as the cunning and evil peasant Ygor. Universal capitalized on his success in Son of Frankenstein by casting him in his final serial, The Phantom Creeps (Universal, 1939). Lugosi played a mad doctor named Alex Zorka who was developing a variety of weapons (including a giant robot and a suspended-animation device). When the authorities became aware of his dangerous activities and moved to stop them, Zorka faked his death in an attempt to pursue his experiments in secret, but his attempts to cover his tracks inadvertently caused the death of his wife. The grief-stricken scientist then vowed vengeance on all his irritators, and set out to rule the world–or at the very least wreak maximum havoc on it, ultimately perishing in a fiery plane crash. Phantom Creeps, weakly-plotted and full of footage from earlier Universal serials, was obviously a rushed attempt to take advantage of Lugosi’s reemergence as a horror-movie star; Bela was pretty much the whole show in the serial, and he did not disappoint. He played his part to the hilt, reacting with convincing sorrow to his wife’s death, smugly bragging of his scientific genius to his henchman Jack C. Smith, and cackling in an increasingly unhinged fashion as his plans kept going awry and he slid further and further towards sheer madness. 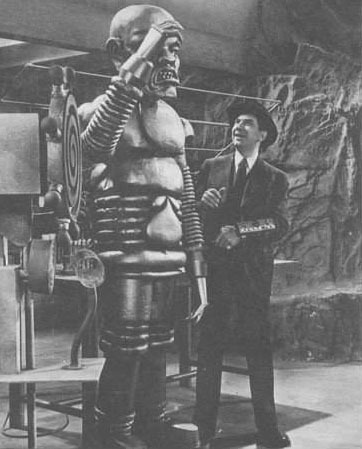 Above: A gleeful Bela Lugosi seems to be having his robot salute him in The Phantom Creeps (Universal, 1939). Above: A nervous Jack C. Smith watches as Bela Lugosi removes important chemicals from his secret meteoric power source in The Phantom Creeps. Lugosi’s Ygor characterization and the straight character part he played in Lubitsch’s Ninotchka (also made in 1939) should have paved the way for him to become a respected character actor. Instead, the 1940s saw Bela relapsing into his earlier career pattern of playing leads in pictures like PRC’s Devil Bat and Monogram’s Invisible Ghost, rather than pursuing supporting roles in big-studio movies. His “Poverty Row” films served to typecast him further, and made it harder for him to win significant non- monstrous roles in A-movies; his best later parts were almost invariably reprisals of his various frightening roles, like his repeat performance as Ygor in Universal’s Ghost of Frankenstein. His film output, consisting largely of Monogram and PRC ventures and an occasional Universal film, dwindled steadily throughout the forties, although it was supplemented by several turns on the off-Broadway stage. His last film of note was Universal’s 1948 horror comedy Abbott and Costello Meet Frankenstein, in which he recreated his Dracula portrayal to excellent effect. By 1950, typecasting and declining health had mostly curtailed Lugosi’s movie career, but he continued to do stage and radio work, while occasionally making film appearances–chiefly in movies for bottom-of-the-barrel filmmakers like Jack Broder and Ed Wood. His final screen role was the part of a sinister mute servant in Aubrey Schenck’s low-budget chiller The Black Sleep (1956). Bela Lugosi died of a heart attack in Los Angeles that same year. In some ways, Bela Lugosi’s serial career was a microcosm of his feature career; too many of his cliffhangers were disjointed and sloppily-written outings whose producers seemed to be relying on Lugosi’s star power to cover production weaknesses. Lugosi was not able to completely compensate for the flaws of chapterplays like Shadow of Chinatown or The Phantom Creeps, but his presence definitely improved them. His compelling intensity lent gravitas to even his silliest dialogue, and helped him to bring an air of otherworldly menace–and even a touch of tragic dignity–to characters like Poten and Zorka. Whether he was red herring, hero, vengeful madman, or cold-blooded villain, Bela Lugosi could easily command the attention of serial audiences. Above: Bela Lugosi in a publicity still for The Phantom Creeps (Universal, 1939). Acknowledgements: This article’s biographical information is derived from the Official Bela Lugosi Website, maintained by Lugosi’s son.